It seems this is the year for books on LENA spies! In an earlier blog, I had highlighted a soon to be published book (18 March - publication date pushed back by 3 weeks) by David Tremain: The Beautiful Spy: The Life and Crimes of Vera Eriksen. Tremain's book is available on The History Press site and can be pre-ordered on Amazon. 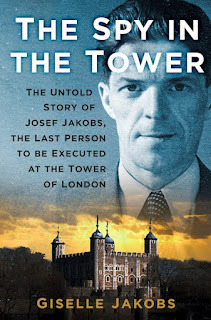 Normally, I prefer to read a hard copy of new books but... in this case, I'm not sure that I want to wait for it to be shipped... so may cave and order the e-book version! Tremain has written several books on other agents, all of which are intensely well-researched and thorough. Vera seems to be a popular topic because just a couple of weeks ago, I received an email from Kirstine Kloster Andersen, a Danish writer who also recently published a book on Vera. I had come across Andersen's website several years ago when she was in the process of researching Vera's life. Alas, Andersen's book is in Danish so it's contents are going to remain, by and large, inaccessible to me. 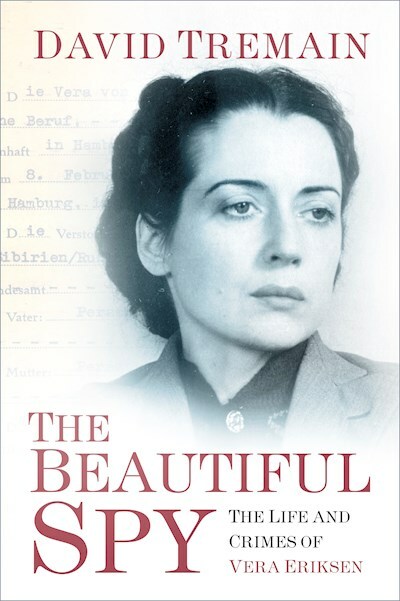 In her email, Andersen, did note that her book puts forward the theory that Vera passed away shortly after her return to Germany after the war. Andersen's book is based on archival sources and she even found documents referencing Vera's funeral in Hamburg. This would tend to jive with the Hamburg death certificate for Vera. 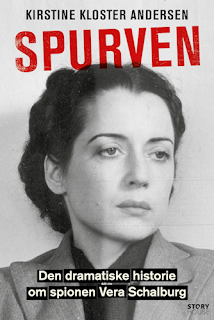 In the "Spurven" [The Sparrow], Kirstine Kloster Andersen tells the dramatic story of Vera Schalburg, who worked as a spy for both the Soviet Union, Nazi Germany and England during World War II. Vera Schalburg's incredible life is surrounded by countless speculations, myths and conspiracy theories. She grew up in Russia's cold Siberia until the October Revolution forced her family to flee to Denmark in 1918. From here she lived a dramatic life that started in Paris as a dancer and Soviet agent until her brother, C.F. Schalburg, one of Denmark's most prominent Nazis got her back to Denmark as a spy for Nazi Germany. During a failed espionage mission, she was arrested in Scotland in 1940. Here, she hardly avoided being hanged when she agreed to work for England's intelligence service. Kirstine Kloster Andersen has immersed herself in Vera Schalburg's life for several years of research for the "Spurven". 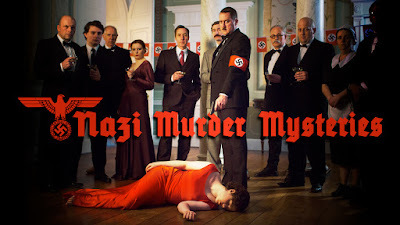 Therefore, Kirstine Kloster Andersen can give a unique and accurate insight into Vera Schalburg's infamous life.